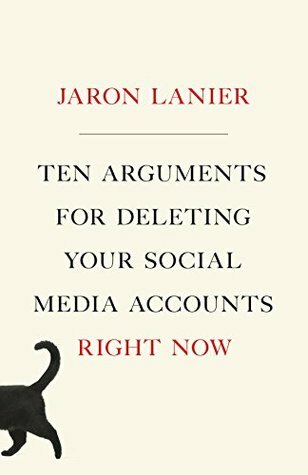 I found Ten Arguments for Deleting Your Social Media Accounts Right Now (Jaron Lanier, 2018) entertaining and thought-provoking. Although nothing in here struck me as particularly new – these ideas have been in the public discourse for some years now – the book is an engaging summary and exploration. Engagement is not meant to serve any particular purpose other than its own enhancement, and yet the result is an unnatural global amplification of the “easy” emotions, which happen to be the negative ones. While a little repetitive, these arguments resonated and got me thinking more deeply about social media, both my personal use of it and what might be alternative models. I don’t plan to delete my accounts just yet, though.